We don’t get a great deal of variety in our nominees for Best Actor in 1935, so perhaps we can make a few changes. The one performance that almost certainly belongs here is Paul Muni in Black Fury, which was written in by a number of people, but I haven’t seen it, mainly because I can’t find it. 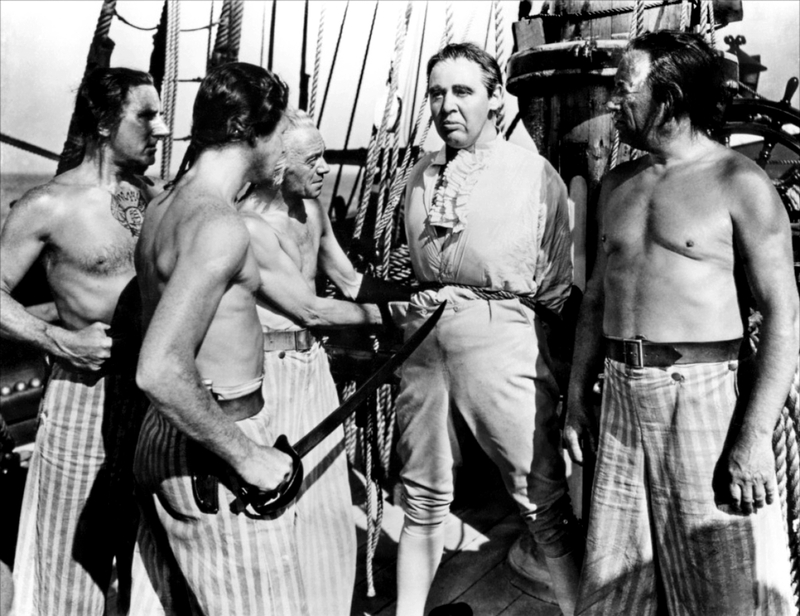 One simple change would be removing Charles Laughton’s huge performance in Mutiny and the Bounty and replace it with Charles Laughton’s equally huge performance in Ruggles of Red Gap. Gary Cooper in The Lives of a Bengal Lancer would be an interesting addition, as would Robert Donat in The 39 Steps. I like Fred Astaire in Top Hat, although he probably wouldn’t be in contention. 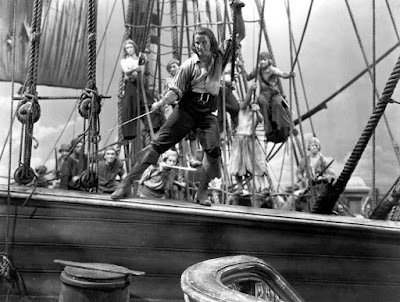 Errol Flynn never got any Oscar buzz, but he deserved some for Captain Blood. Finally, Ronald Colman was absolutely the best part of A Tale of Two Cities, and he genuinely belongs here. 4. It’s probably unfair of me to dump Franchot Tone first, but aside from a supporting role in The Lives of a Bengal Lancer, I haven’t really found a role of his that I much remember or care about. Tone comes across to me as plain toast, as thrilling as a beige room. I’ve seen this movie and I literally can’t remember Tone in it. That’s not terribly unusual, though, because I pretty much never remember Tone. I’m sure he was serviceable in the role, but I can’t help but think that there are at least more memorable performances I could put here. 3. With the vote being split three ways on Mutiny on the Bounty and the write-in campaign for Paul Muni, it’s perhaps not a shock that Victor McLaglen walked away with this statue. It’s in interesting performance, but it also feels very amateurish in a lot of ways. Gypo Nolan is a disturbingly simple-minded character, and because of it, not a very compelling one. 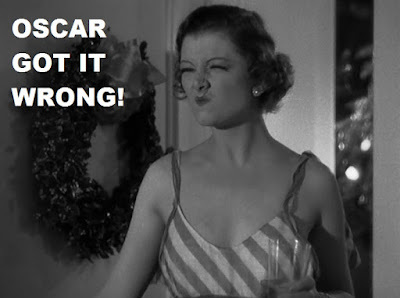 McLaglen is fine in the role, but it does come across as ham-handed and cartoonish. It may be impossible to tell if that’s the role or McLaglen himself, but either way, he didn’t really deserve the win. 2. I understand that Clark Gable was the end-all, be-all for actors at the time, but I’ve never really seen it. Sure, the man was talented and possessed of a particular charm, but I don’t really get his level of popularity. 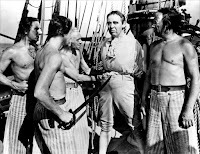 Still, his was the more or less main role in Mutiny on the Bounty, and he handles it with true aplomb. That said, there’s a part of me that wonders what this film would have been like with Errol Flynn in the role. Perhaps less clearly the original story, sure, but also potentially a great deal more exciting. 1. If I’m honest, I think Charles Laughton is the only one of the four actual nominations that I would keep. He remains the only real thing I remember from this version of Mutiny on the Bounty, and it is a towering performance. Laughton was such a talent when given good material, and as Ruggles of Red Gap demonstrated, he was just as much at home in comedy as he was in drama. This should have been his Oscar to lose, and even with the addition of the names I listed above, Laughton is going to be my pick for a truly despicable but just as memorable Captain Bligh. I would consider Peter Lorre in Mad Love. Or Crime and Punishment. And how about Boris Karloff and/or Ernest Theisiger in Bride of Frankenstein? I do love Bride of Frankenstein, and were I to choose someone from it, it would be Karloff. Looking at that lineup of nominees could it be any surprise that McLaglen won? I mean three men from the same film-even with the studio block voting that went on at the time you have to figure all three men had their champions within MGM-and he. I didn't really care much for The Informer but McLaglen was okay though I wouldn't nominate him. I'm not as adverse to Tone as you but he was the least deserving of his nomination. I'd keep Gable who possesses the proper brio for Fletcher Christian and gives if not a great performance a vigorous one which is what the role needs. I think looking at the context of the times Gable's ultra stardom is easy to understand. Literally emerging to prominence as sound was born and the stock market crashed he was unquestionably a man's man and something totally new to the screen that was populated with the likes of Ramon Novarro and Nils Asther so his brand of take charge machismo was just the right fit for tough times. Errol Flynn was certainly manly but there was always a courtly edge to his swagger which Gable never had and that down to earth quality made his appeal broader based. Add into it the fact that he was there first and that he exuded a fierce star quality that comes through more strongly than just about any other male star of his period. All that aside and despite the quality of Gable's performance there should have been no other winner but Laughton out of these four, especially with the marvelous performance in Ruggles as a backup. I wonder if he had been nominated for that with Bligh as his secondary if he might have won. I saw Black Fury loooong ago and though my memories of it aren't super clear Muni's performance didn't stand out for me the way his work in I Am a Fugitive from a Chain Gang did. I second the mention of Peter Lorre in Mad Love but it was probably too weird and ghoulish for the Academy but he should have easily been in over Tone. 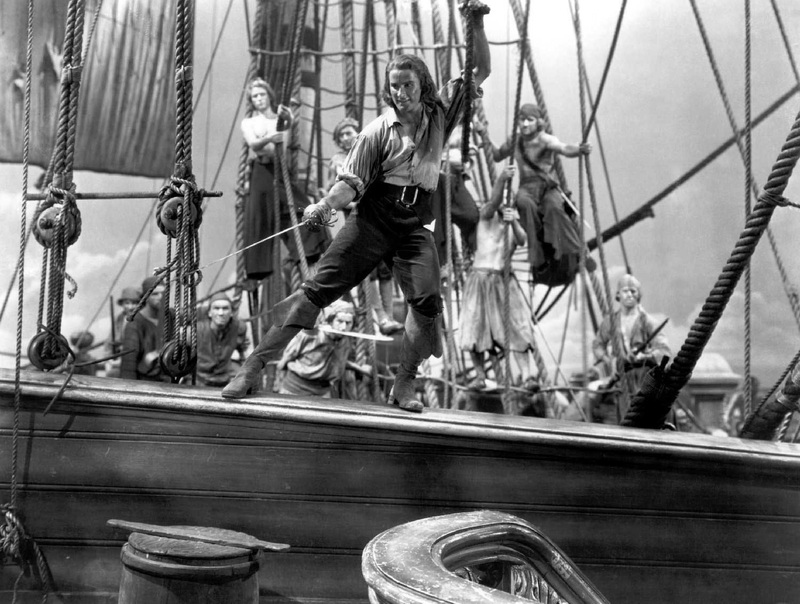 Same for Flynn in Captain Blood and Colman's wonderful work in A Tale of Two Cities. The others I'd say that were worthy of consideration are Fredric March in Les Miserables (also with Laughton)-a far better take on the material than that headache inducing musical crap of a few years back. Also Edward G. Robinson is his usual great self playing a double role in The Whole Town's Talking but it might have been viewed as too light. Put in that context, I suppose I understand the appeal of Gable more. For years, I knew him only from Gone with the Wind, and as a kid, that movie was too damn long and often too damn slow, so I guess I just kept associating him that way. Laughton really is good in Ruggles isn't he? It's clear he's having a lot of fun with it and with Mutiny on the Bounty, it demonstrates just how much range the man had. Muni's write-in is probably what won him the Oscar the following year. 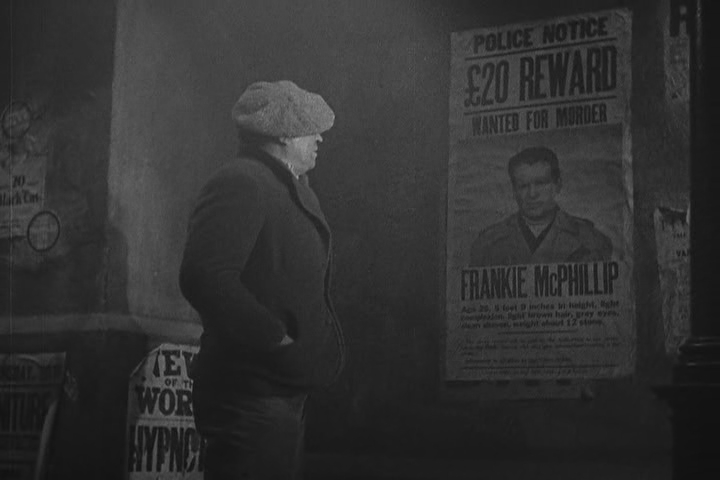 Once again, it's a case where an actor wins for a decent performance because of excellent work in earlier years--I am a Fugitive from a Chain Gang is Muni at the top of his form. Lorre is great in Mad Love, but it's short and desperately weird, so I doubt it got a lot of serious consideration. Somebody really wanted to give a Best Actor award to Mutiny on the Bounty. three nominations! I agree on Charles Laughton, he was phenomenal. I also agree that Flynn deserved a nomination. How about a nom for Groucho Marx (A Night at the Opera)? I like Groucho Marx, but did he ever really do anything but be Groucho Marx? I can't disagree with Laughton, though I'd have gone for him in Ruggles if given the choice. Donat and Coleman were both fine alternate nominations. Lorre was absolutely fantastic in the too little seen Crime and Punishment and I've had given him a nod too. I haven't seen Crime and Punishment, so I can't comment there. In all honesty, I'd probably vote for Laughton in Ruggles as well. It's not often that someone has two of the best performances in the same calendar year. For a good portion of the United States movie watching audience, 1935 was the year Gene Autry rode and sang into theaters in "Tumbling Tumbleweeds" and cemented himself into singing cowboy film immortality. Little things like his Christmas ("Rudolph the Red-Nosed Reindeer," "Frosty the Snowman", "Here Comes Santa Claus," and "Up on the House Top"), broadcast, sports, and museum immortality would come later to this immensely popular business tycoon. But 1935 proved that both Gene and Champion were at the top of the film world even if the elitist Oscar voters couldn't get what children all over the country knew and paid to see. I"d put Gene's performance up against all the rest, and Smiley Burnette's quote, "anyone can dance if they are properly persuaded," should rank high on the list of famous movie quotes. It's a great topical film that entertained the masses during the Great Depression. Luckily for us, Gene is still entertaining and educating us today through his numerous entertainment contributions and those of his History of the American West museums in Los Angeles. I defer to your knowledge on this, having never seen a Gene Autry film. There is something to say for popular films, after all. While the tastes of the average member of the viewing public perhaps cannot be underestimated, sometimes they get it right.